Within two years, the application became the necessary information tool (Business Software) for small businesses, freelancers, professional firms offering legal or medical services, architects, etc. 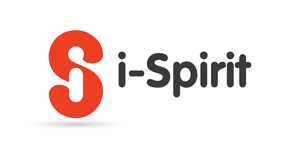 I-spirit combines the advantages of a cloud and a desktop application, delivering the ultimate result in managing your business. It also provides security because it is a locally installed application (desktop). With these two innovations, the application development team provides you with security in your transactions, organizing your invoices, digitally archiving your books and data, and providing immediate information on your business's financial performance. The application includes: Commercial management - Financial management - Electronic invoicing - Accounting management - Interfacing with accounting applications - Connection with terminals (P.O.S - Tax mechanism) - Electronic archiving of revenue and expense books - Electronic transmission of duplicate articles - Automatic backup. • Free copywriter and calculating spreadsheets compatible with Microsoft Office (Excel, Word) through the application • One year support service (phone support, upgrades, and remote support).